Blast Theory and pvi collective in partnership with the Australia Council are delighted to announce Cat Jones as the 2019 recipient of our international residency program. cat jones will undertake a six-week residency with blast theory in their studio in Brighton, UK. She’ll receive mentorship and feedback on her new project – ‘medicament for your predicament’ from her research on medicine and feminist futures (supported by Create NSW). 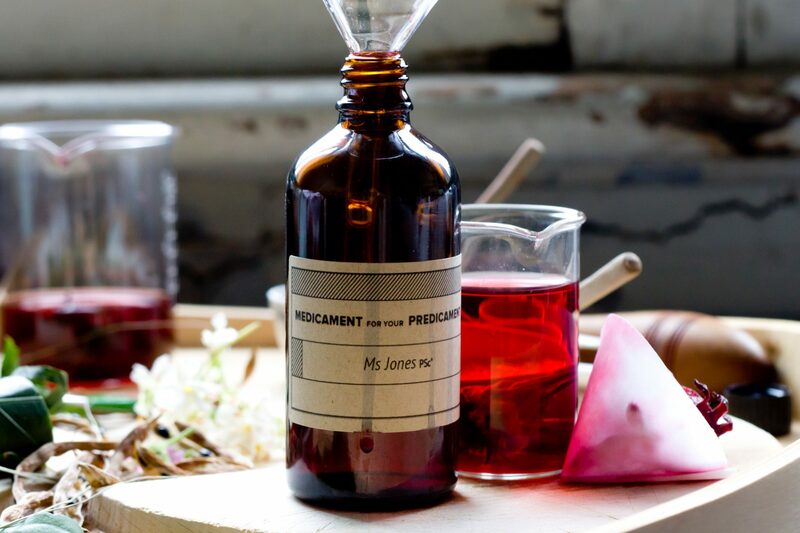 the project draws on her extensive sensory and botanic practices and uses kitchen, garden, lab and social research methodologies to create personal and political pharmacopeias for ailments such as disillusionment, misogyny, misandry, authority – salves, tonics, gargles, emulsions and powders for our soluble and insoluble bodies. cat was selected out of twenty-three applicants from all around Australia. This initiative was instigated by Sophie Travers and has been supported by the Australia Council for the Arts for the last 3 years. The residency exchange program offers an Australian artist the opportunity to undertake a residency with Blast Theory in their studio in Brighton, UK. The companies aim to support artists working in similar fields and to strengthen the sector as a whole through mentorship and critical feedback. see more of cat’s work on Instagram or twitter or online. 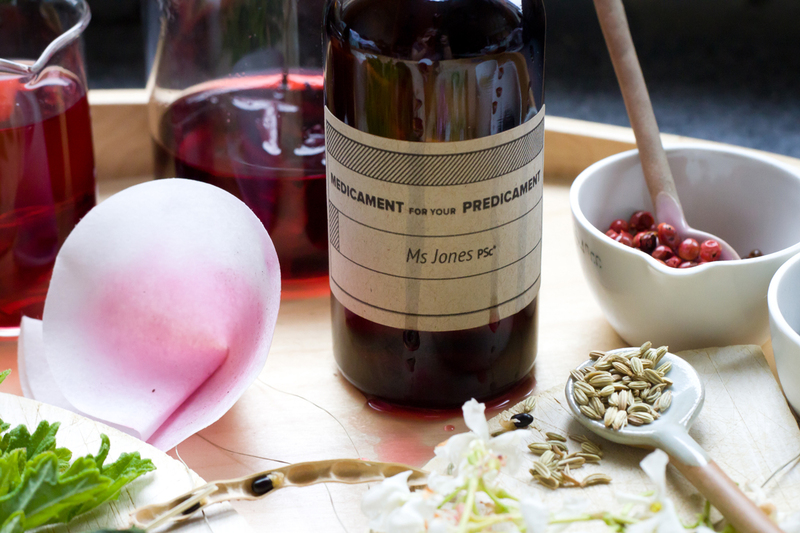 Medicament for your Predicament by Cat Jones. Image courtesy of the artist © 2018.